If you would have told me 5 years ago that today I would have my own successful business I would have told you you were crazy! I grew up in a small, working-class town and was never exposed to the idea of entrepreneurship. I was a worker. Everyone I knew was a worker. Then one day I realized that no matter how hard I worked or how much I saved I would never be wealthy. Heck, I couldn’t even make ends meet let alone think about retiring comfortably. And that was working a full-time job and a side gig. Something had to give. I looked up the career ladder and was not happy with what I saw. I could invest years of time and tens of thousands of dollars to advance my career so I could make a little more money, but the return on that financial investment would come long after I retired! Then I heard Michelle Podlesni speaking about nurse entrepreneurship. What? Nurses could be entrepreneurs? I was intrigued, to say the least. Michelle is the president of the National Nurses In Business Association (NNBA). I checked out their website and began learning all I could about business and entrepreneurship. I took action on what I learned and now I have my own successful business serving case managers! And I’m not alone. There are hundreds of nurse entrepreneurs in the NNBA! 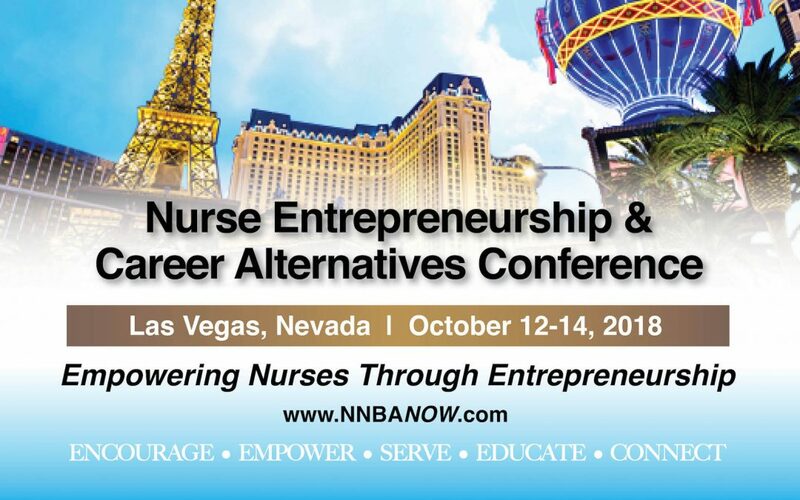 If you even THINK entrepreneurship could be in your future the best advice I can give you is to attend this year’s National Nurses in Business Association Nurse Entrepreneurship and Career Alternatives Conference in Las Vegas, Nevada from October 12-14, 2018. This is a life-changing event that will inspire and equip you begin your own journey to entrepreneurship. There are limitless opportunities for entrepreneurs but you must invest in yourself and this transforming conference is a must. No matter where you are in your journey, from “I don’t even have a business idea” to seasoned entrepreneurs this is the event for you.